Hudson had the greatest teacher, Ms. Williams, to start his journey through school. So patient, caring, loving and funny with Hudson. 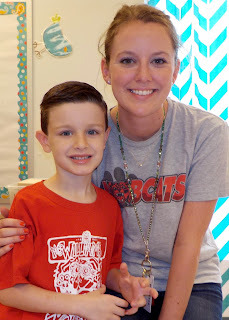 Since she gets final say on his First Grade teacher, we know he'll get a great one next year too.